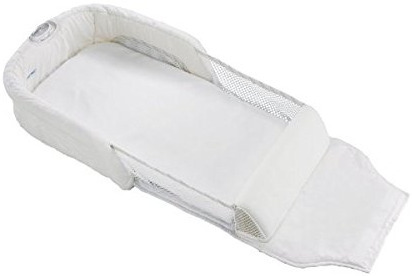 The First Years Close and Secure Baby Sleeper enables you to nourish, soothe, keep an eye on, and connect with your infant all through the night with the assurance that baby is cozy, protected, and comfy beside you in the bed. Made to be light and portable for while traveling, you can even use the sleeper in the crib to benefit baby’s change from your bed to the baby crib. Our Air flow design and style permits air to flow around infant. Integrated nightlight should make it simple for you to check up on little one throughout the night.